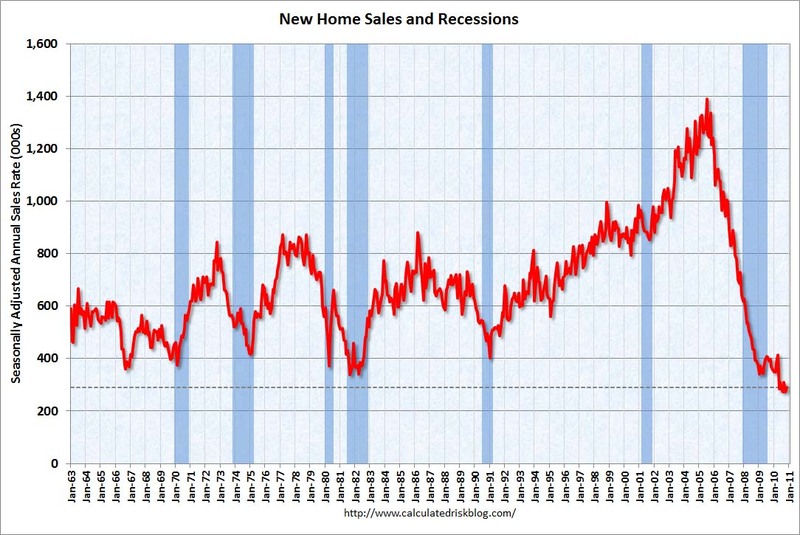 New home sales for the month of November came in at 290,000 annually. The number was up 5.5% from the all time record low 275,000 from the previous month, which the media spun as extremely positive. There is no precident in history for these monthly sales as can be seen with the cliff diving in the long term chart below.